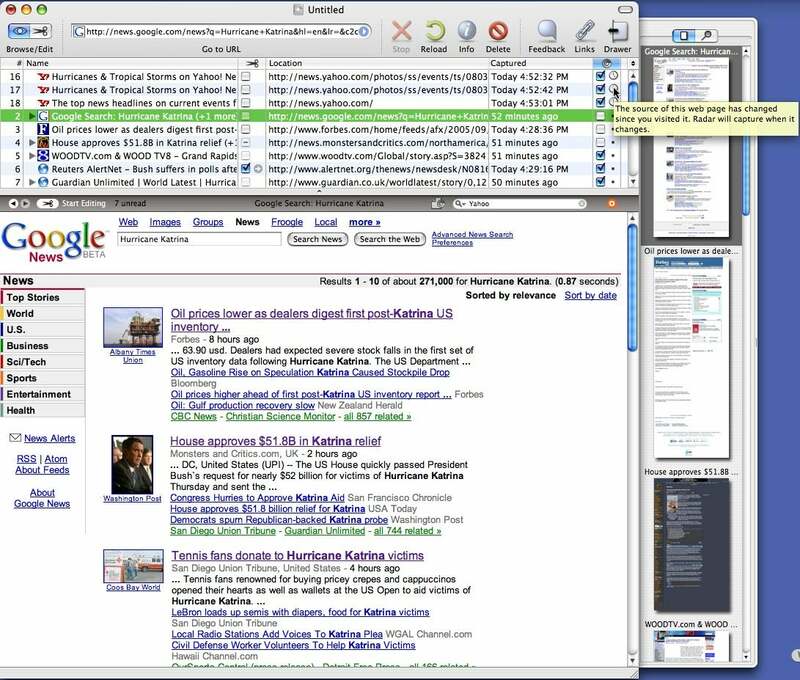 If using the Web for research is part of your student, hobby, or work life, Softchaos’ Webstractor 1.5.3 is one Internet utility you should own. 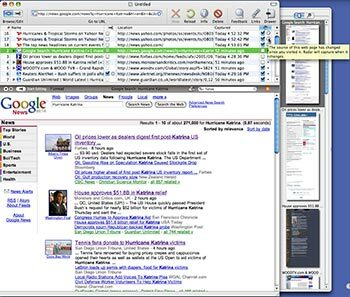 This upgrade lets users collect and edit Web pages with less effort and more efficiency than the previous version ( ; November 2004 ). The program now allows you to automatically download updated versions of Web pages you’ve already gathered and adds a handy new search function. Webstractor’s browser-like interface lets you capture and edit entire Web pages (including text, images, banners, and charts) and saves groups of pages within a single Webstractor document. If you’re researching a topic, you can gather Web documents about your subject and view all those pages together, even if you are not online. Because Webstractor has a built-in field that links you to Google (as well as other major search engines), you can do all your research in Webstractor, without launching another browser. You can also drag and drop URLs into Webstractor from any browser. When I reviewed the first version of Webstractor last year, I was impressed by its versatility and ease of use. The new version adds powerful new capabilities, including an automated update feature called Radar and new keyword-search capabilities. Once you’ve collected the Web pages you want, you can edit out images, advertisements, text, and menus you don’t need. Because Webstractor lets you both browse and edit in the main window, the program is a cinch to use. If you select the Radar option for any captured Web page, Webstractor will automatically download an updated version of the page. Radar, which automatically downloads updated versions of captured Web pages, works well: Simply check a box next to each URL to switch Radar on or off. Among other preferences, you can program Webstractor to automatically update only those pages that contain certain keywords. Webstractor also has the ability now to quickly search all of your saved pages by keyword. It took a fraction of a second for Webstractor to list each page that contained a keyword; I was then able to sort by rank or result. A collapsible drawer holds search results or thumbnail previews of captured pages. The search feature is quite elegant: When I clicked on a search result, for example, Webstractor displayed the page with the keyword highlighted. The program also has a helpful contextual menu item that lets you add pages to Webstractor directly from Apple’s Safari or The OmniGroup’s OmniWeb, even when Webstractor is not open. I’d like to see a contextual menu item for Mozilla’s Firefox, and even Internet Explorer. Softchaos says it’s considering adding menu items for other popular browsers. You can check a box to make any Web page editable, and there is a variety of editing functions available, including the ability to change typefaces or colors, remove page backgrounds, and resize and crop pages. You can also drag and drop Microsoft Word, Rich Text Format, TIFF, and JPEG files into Webstractor’s URL entry list in Edit mode. There are a couple of snags when dealing with PDFs in Webstractor. The program can download PDF files, but if you are using Acrobat 7, you must unselect the Display PDF in Browser Using … option in Acrobat’s preferences, or it will trigger an alert in Webstractor—not a huge problem. There’s another issue with PDF files, though: Webstractor will not let you alter them in Edit mode. However, this version does let you save your documents as PDF files so you can share your Webstractor research with people who do not have the program. And that is very convenient. A more vexing issue is way the program, in Edit mode, renders certain Web pages built with complex CSS layouts. Switching from Browse to Edit mode can produce a wide range of results, from changing a page slightly to making it unreadable. Softchaos says the Show/Hide Background option, available in Edit mode, is the best workaround. The company plans to fix its CSS implementation in future releases of the software. I wondered how Softchaos could improve Webstractor, and version 1.5.3 gave me the answer. The program is even more useful and automated than the previous version, without sacrificing any of its simplicity and ease of use. While Webstractor still has some rough edges, it nonetheless works quickly and well in helping you find what you’re looking for on the Web, and keeping track of the information afterward. I recommend it highly.